Allergy is a condition known by a critical reaction of the human body to a certain food, smell, liquid, medicine etc. In most cases reaction is visible on the skin or mucous membranes of the body. Among the common symptoms of allergy we can observe watery eyes, rashes, and asthma attacks. Allergy is known as a hypersensitivity reaction of the immune system of our body to usually normal and harmless substances. Fortunately, there are many ways to treat allergies and among them is huge number of natural remedies. Unfortunately there are no other diseases causing that much a problem to us as allergies do. Allergy to blossom is a challenge but still we can try and we should try to cure it. Of course it is always better to prevent allergy from reappearing every year. As we know this allergy is seasonal. Keep windows always closed during the season of pollen. Make sure that your relatives are aware of risk of your allergy and do not open windows while you are asleep or in the other room. Use conditioning to cool the room during the pollen season. Keep your pets, apartment and clothes clean; make sure that pollen didn’t get inside on them. During the pollen season stay away from green areas (parks, forests, gardens). You should learn that blooming flowers produce pollen. 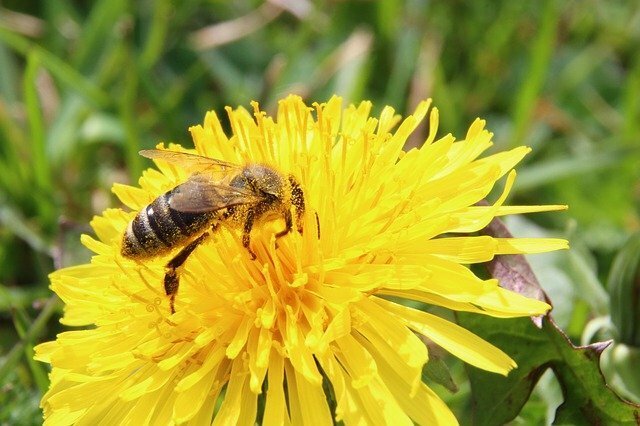 Cells of pollen fly everywhere in the air and they can easily reach our lungs. Usually blossom pollen allergy appears as a rhinitis. It is common thing when doctors try to cure the rhinitis without researching on the purpose of the rhinitis. Give up on chocolate, pastries, candies and biscuits. Limit the consumption of milk. Milk products should be also limited as milk is increasing producing of mucus. Quite often allergy can cause red rash and itching feeling. To get rid of these symptoms the best remedy is consumption and active use of herbs. We can use these herbs few possible ways. First and the best solution against red rash and itchy feeling is taking bath with one of these herbs. We should firstly prepare boiled herb or infusion and later use it in our bath. Sometimes allergy can cause blisters or swelling. First and main rule is never scratch or squeeze the blisters. Compress should be implemented on the blister carefully. Take honeycomb and put it on the blister. Also lavender can be used against blisters. Usually in case you will start to take bath with healing herbs as soon as you will see or notice first signs of allergy we can prevent blisters to appear. You can use egg shell (it should be crashed into powder and added to the diet). This will increase immune system power. Stay away from some herbs during pregnancy: celandine and eucalyptus for sure are forbidden. Chamomile and charcoal are neutral and recommended to be used while pregnant. They will increase overall positive impact on the body. While pregnant it is always better to consult with the doctor before implementing any of the homemade remedies. Warning: During seasonal allergies you should concentrate your attention on everything at the same time. Pay attention to your diet, remove allergic food from your routine, use herbs instead of tea and take nice healing bath and apply compresses if needed. Dust allergy brings a lot of discomfort in our life additionally it brings dangerous consequences. The disease easily becomes chronic in case of absence of adequate treatment and prevention. 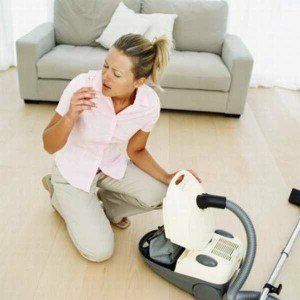 Additionally without treatment you will experience huge problems and inflammation of airways, especially in autumn and winter and that all will lead to asthma. The symptoms are so similar to simple cold symptoms that they are often confusing doctors and patients. Usually the difference is that symptoms appear during whole year and they disappear outdoors when we are enjoying fresh air. Eucalyptus essential oil should be added to the washing. Eucalyptus oil is destroying mites which can remain in the fabric by reducing their number almost completely (up to 95 percent will be destroyed). Regularly wash your rugs and curtains with eucalyptus oil (once a year). Regularly wash your clothes and bed sheets. Add few drops to your washing and leave it to stay for half an hour. Rinse everything and wash again. This remedy is wonderful natural solution which safes your health. Pay attention to everything in your home what can gather dust and wash it regularly. Vitamin C is absolutely needed in your diet in case you are suffering from the disease. On empty stomach every morning consume the mixture of 1 teaspoon of olive oil and 1 teaspoon of lemon juice. This remedy is solving problem with the disease and strengthens immune system. 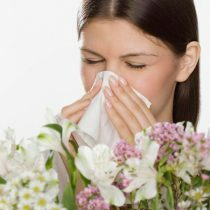 Usually weak immune system is the cause of all types of allergies. Every morning consume 1 gram of propolis. Chew it properly and drink a glass of cold water after it. This natural remedy is working not only with dust allergy but also with pollen and food allergies. It is not a problem to find this ingredient. Find the places where in your city people sell natural raw honey and all types of honey products. One more unique product which can recover you easily is goat milk. Drink goat milk every morning and you will forget about unpleasant symptoms. Celery juice is cleansing our body from toxins and allergens. Grate celery root on the grater with small holes. Extract juice from the grated celery root. Consume 1 tablespoon of the celery juice 3-4 times a day. Continue consuming celery juice until symptoms will disappear completely and do not forget to wipe the dust in your home regularly. Common symptom people struggling with this disease are experiencing is tearing and eyes irritation. Evening eye compresses are perfect solution against such symptoms. Take 1 teaspoon of cornflower and cover them with 100 grams of boiling water. Leave cornflower to stay in water for 20 minutes. Strain and cool the liquid. Implement compress using cotton pads. This recipe is quite easy and usually helps very quickly. Try to implement it as soon as symptoms will appear in order to help as soon as possible. Warning: As you understand the best possible way to get rid of the disease is to stay away from the dust. It doesn’t mean you should stop wiping dust and hide from the dust gathered under the bed. It means quite opposite: wash all your home regularly and pay attention to every corner. 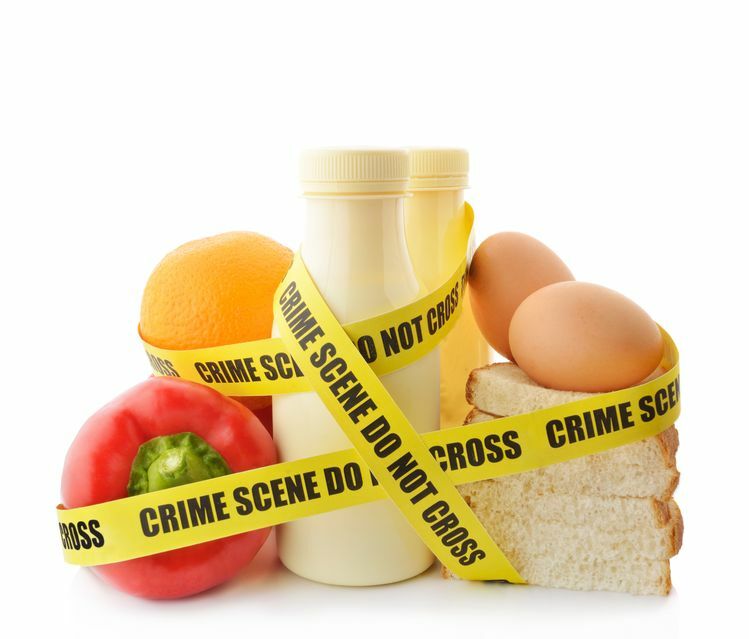 Food allergy is an unhealthy reaction to certain food and ingredients. Usually such type is caused by proteins and very rarely by fats or carbohydrates. Usually kids suffer from this disease. Adults also sometimes experience this type of disease, but quite rarely. First of all we need to exclude all hypoallergenic products as well as limit consumption of food with average allergenic activity. This is first and most important step in individualization of the diet. It is recommended to introduce products into the diet gradually. This method will help to find out individual reactions of our immune system to them. Always check the list of ingredients in any of the products you are attempting to buy. Plenty of foods contain components with high level of allergens. One more interesting detail is that some people can be allergic to low allergens products. That is why every diet is individual and should be prescribed by the doctor. When you are eating only hypoallergenic products you should try to make some diversity in your diet. The best way to do so is to use each product only once a week. The symptoms may appear not from the product itself or consuming of the product. The reason of the disease can be the accumulation in our body of some substances contained in that particular product. Very effective and well known treatment is egg shell. It is very cheap and affordable. Boil an egg and take the shell off. Shell should be crushed into the powder (usually blender of machine for crashing the coffee can help with this). Egg shell powder should be consumed together with lemon juice. Prepare and consume this remedy every day and after few days you will notice first results. However you should continue and consume egg shell powder couple of month and you will be fully recovered from the disease. This remedy is very simple and quite effective. Buy wheat bran in any shop which sells healthy products. Every morning cover wheat bran with boiling water and consume them on the empty stomach. In few minutes after consumption you will notice that your allergic rhinitis disappeared. This remedy is also very useful because it removes harmful toxins from our body. Additionally wheat bran consumption is regulating work of intestine. Nettle is one of the oldest known homemade natural remedies against this disease. We will take dry nettle and pour it with the boiling water. Let the nettle to stay in the water for a couple of hours. Nettle will give all its minerals and elements. Drink half cup of the water you will strain from nettle few times a day. Usually you will need three weeks to get rid of the disease completely. If necessary you can make the course of the nettle longer. Warning: Nettle is forbidden to be consumed by pregnant women as it can cause bleeding and miscarriage. Usually we try cosmetics without any doctor’s recommendations. 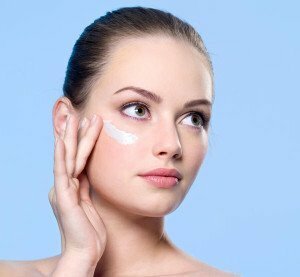 Such experience can cause a lot of problems, among them plenty of unpleasant symptoms and in the best possible scenario just absence of harm to our skin and health. First thing we should do as soon as we realized that allergy is caused by cosmetics is to consult dermatologist or allergist. We need to find out the cause of disease and eliminate it. Unfortunately every day we use huge amount of different cosmetics and this can be a real challenge to do. As soon as you noticed the allergic reaction to cosmetics you should immediately remove all the cosmetics from your skin. Use as much water as you can. Next step is rinsing our eyes. For those who use cosmetics for eyelashes it is absolutely needed. Use tea or chamomile for this purpose. Try to avoid using cosmetics for few days. Antihistamines are usually recommended for people with allergies. Especially such disease happens often when changing the climate or during travelling. Medicines should be prescribed by doctor. In case you need some help urgently but there are no doctors in the nearest future and no medicines you can use nettle. Prepare nettle everyday as it should be fresh like your tea. Best way to cure the disease is to attack it from both sides externally and internally if it is possible. Unfortunately cosmetics are full of chemicals and preservatives and it is almost impossible to get rid of the disease without doctor. You can try but for short. In case your actions do not lead you to positive results you should immediately visit doctor. Warning: You should be completely sure what you are curing. Unfortunately symptoms of allergies very often have very similar symptoms with some other diseases. Experts say that natural remedies are less harmful and more effective for our skin. You should also remember that any symptoms on the face, skin or elsewhere are just side effects of the disease. And if you managed to heal the rash it does not mean you cured yourself from the disease.